I know I have been missing on here for awhile. I have to say, it's hard working full time and commuting. The thought of being on a computer after being on one all day, is kind of dreadful if I must be honest. Don't get me wrong, I love my blog, I miss blogging so often and having a set routine, but it's just so hard for me now. I'm going to try and improve this. Anyway, if you've been following my blog for awhile, then you would know that empties are my favourite kind of post. 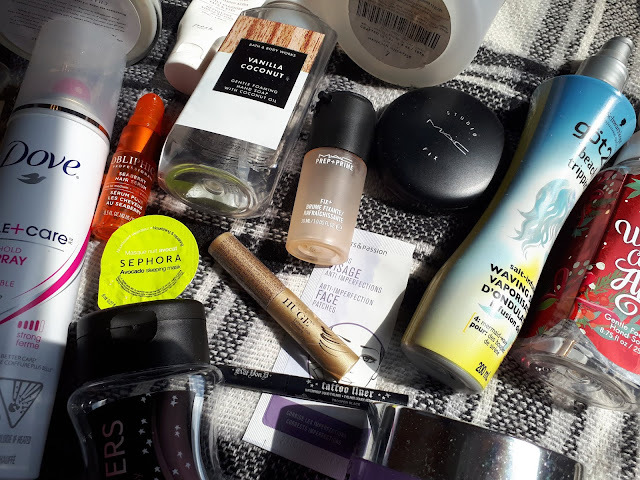 I love reading or watching other's empties posts, and writing my own. So without going on much longer, let's see what I used up for the months of June and July! Lots of stuff! I felt like I didn't have enough in June, but I have plenty now! So let's just get right in! I really love these sprays. 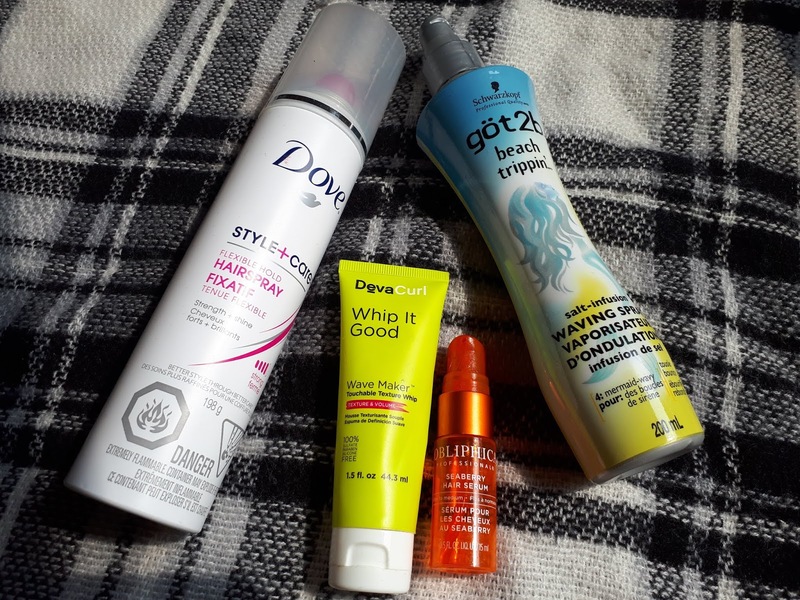 I picked up a trio of the scented fix plus sprays, and I have to say I was kind of disappointed in this coconut one! I really wanted to love the scent but I didn't find it strong at all, in fact, I couldn't smell coconut at all. So I love the spray, but not the scent. I already have a back up full size bottle of the original fix plus spray. I love this powder plus foundation when I'm in a hurry. I find it gives me just a slight coverage to hide some redness, and doesn't make me look cakey. It also lasts forever. I've already bought a new one. Another product I love. This will always pop up in my empties. This deluxe size did happen to dry up quickly, but I have a backup of course. This mascara was a huge disappointment. The mascara itself was so thick and gloopy, and it just looked like giant clumps on my lashes. I have another because they were a free sample at Sephora, but I wouldn't purchase this in the future. This hair spray was just okay. I think I got it in a campaign so I pretty much kept it until I finished it. I'm not a big fan of Dove hair products. I don't use much hair spray though so this did what I needed it to. I really enjoyed this, and I found that it enhanced my waves. I still had to use it with other products though for them to keep their hold. I'm on the fence about repurchasing this! This is just a hair oil/serum. I didn't find any improvements while using it, and I have a few other brands to finish up still. I wouldn't repurchase this. My dads friend actually gave me quite a few bottles of this salt wave spray. I do find that it dries out my ends a little, but I definitely notice a difference between when I use this and when I don't. I have a few more bottles to get through, but I'm not entirely sure yet if I will repurchase. But it does do it's job! I haven't used many body scrubs, so my experience is limited. But this was a sugar scrub, so it wasn't too abrasive, at least I didn't find. It also was kind of whipped. I liked the texture, but I didn't find that it did much for me. At least it smelled great. But I wouldn't repurchase this brand again. I purchased many of these when they were being discontinued. Pumpkin Roll is perfect for fall, and Sugar is just a sweet scent. They foam well, and don't dry out the skin. I still have a ton to use up. These are just a cheap cotton round from Walmart. They do their job. I have another roll to get through. I love this cleansing balm! It's probably my favourite. I've already repurchased another! This sleeping mask was just okay. I prefer their rose, or lotus for moisture. I really enjoyed this balm, although it had more of a vaseline-type of texture. 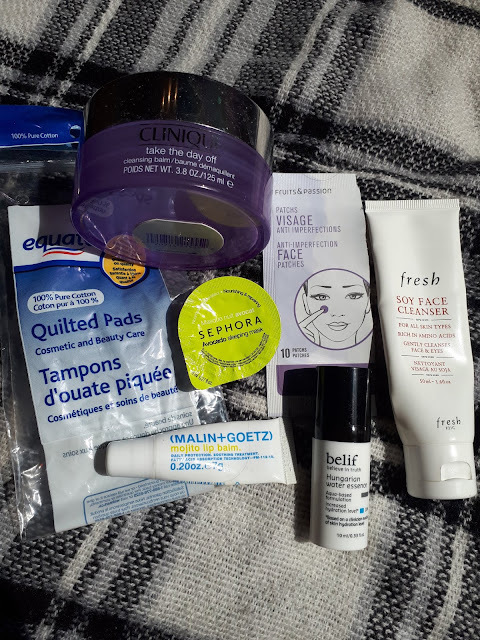 This came in an Ipsy bag I believe, or maybe even Birchbox. Either way, I've had it way too long and finally finished it off. These little pimple patches are amazing. They really do get the gunk out. 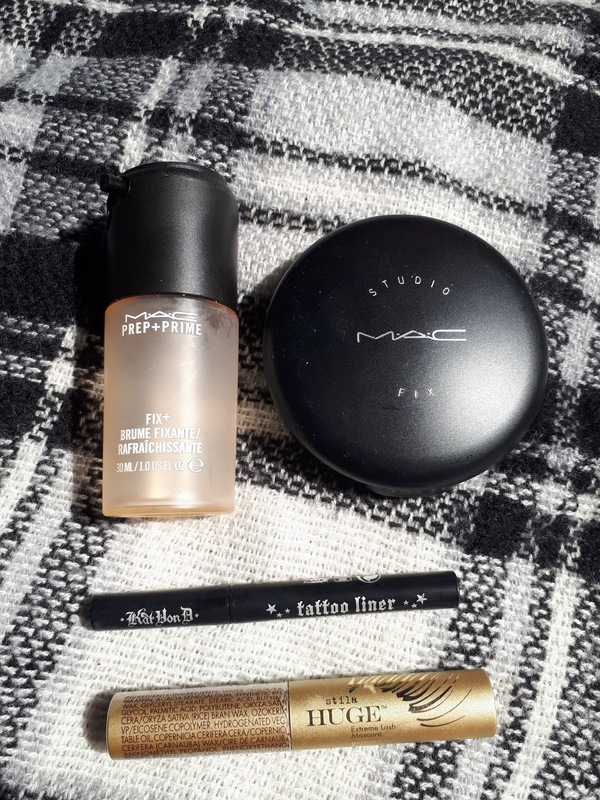 I've already repurchased more, but from a different brand this time. This essence was just okay. I feel like it felt okay while first applied, but I didn't find any added moisture in my skin. I wouldn't repurchase. I absolutely love this face cleanser. It's so lightweight and doesn't leave my skin feeling dried out in the slightest. I have backups and recommend it to everyone! I love these foaming hand soaps, I always repurchase more when they are on sale. 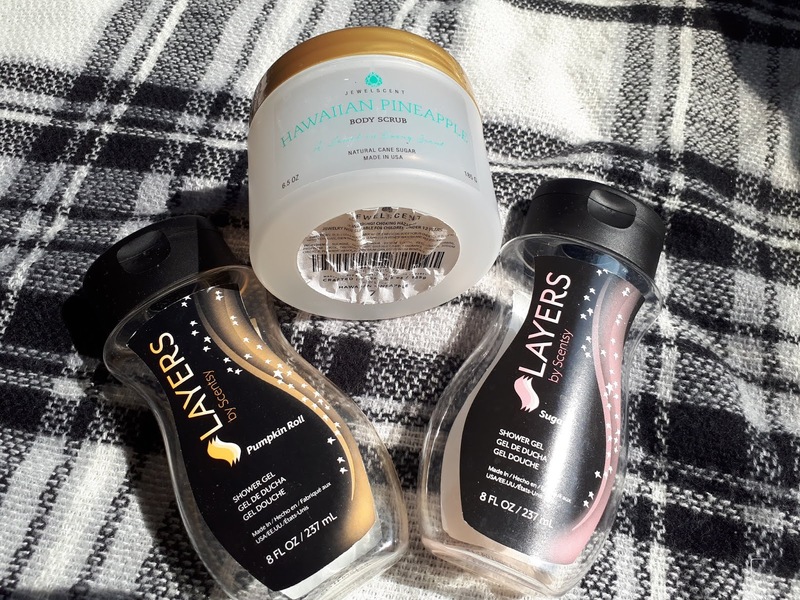 I really enjoyed the vanilla coconut scent, and would definitely reconsider purchasing that again. 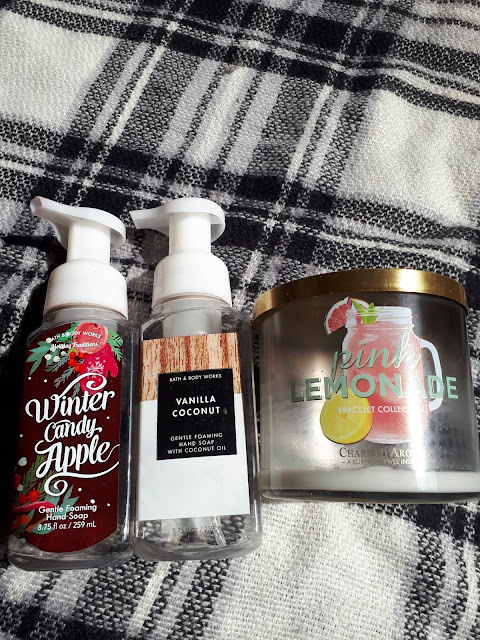 The winter candy apple is nice and fruity, but there was just something awesome about that vanilla coconut! I have tons of backups in other scents. This actually smelled like pink lemonade, and this actually had a bracelet inside. The jewellery was cute, and the scent was nice! I have a couple of other candles from Charmed Aroma that I still need to use up as well.